Disclosure: This post is brought to you by the Ohio Pork Council and in part by the Ohio Soybean Council. All recipes, photos, opinions, and silliness remain all me. It is probably pretty obvious by this point that we are a household that REALLY digs pork. : as in three to five meals a week level digging… Aside from the fact that it remains one of the most wallet-friendly meats you can purchase for a family of our size, its mild taste makes it a perfect match for many styles of cooking. It’s embraced by many world cuisines, so you can have an Asian pork dish one night, a French pork dish for the next meal, and a Mexican pork dish in yet another meal, and that’s just the start. 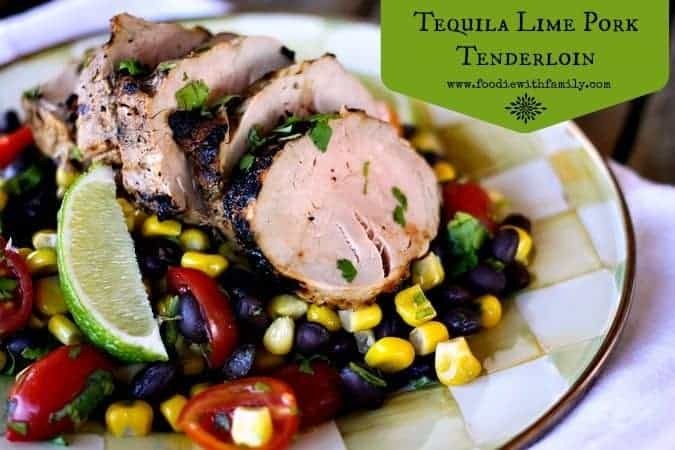 I love tequila lime chicken, so I decided to take the mild and versatile cut that is pork tenderloin and apply the same type of marinade. It doesn’t get much easier or impressive than this. There’s nothing intimidating about the process at all! Into a zipper top bag goes tequila, lime juice, honey, garlic, onion powder, minced jalapeno, and fresh cilantro. Squish it up, add the pork tenderloins, squeeze air from the bag, seal it, and stash it in the refrigerator for one hour to overnight! Heat your grill to medium, toss the tenderloins on and turn from time to time for twenty five minutes, or until the pork reaches 145°F internally. “SCREEEEEEEEEEEECH” go the brakes! What? Yes. I said 145°F. Did you know you don’t have to cook pork to shoe-leather doneness for it to be safely cooked any more? It’s true! That’s FIFTEEN whole degrees lower than the USDA used to recommend. Extensive testing was done to prove that pork is not only microbiologically safe at that temperature, but it’s ever-lovin’ tender and juicy, too. You have to love progress, right? Truth: Pork wasn’t always of a quality that you could do this. The good news is that it IS now. And it is so, so tasty. Get a meat thermometer. If you’re relearning how to cook pork at the new safe temperature, your best bet is to grab an inexpensive instant read thermometer to eliminate the guess work. When the meat hits 145°F, you remove it, gently tent it with foil, and let it rest for 3 minutes before slicing. If you’re absolutely, unequivocally morally opposed to cilantro, I’m terribly sorry. I really am. I know it can be genetic. Replace the cilantro with parsley. If you’re only mildly meh about the cilantro, keep it in there. How do you serve this? 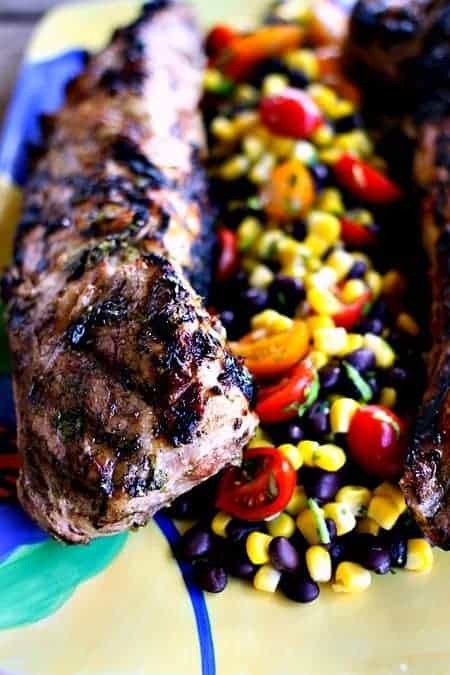 I love it with a side of rice and this Sweet Corn and Black Bean Salsa or Grilled Mexican Street Corn Salad. If you were feeling especially indulgent, you could serve it with this fabulous Spicy Slow-Cooker Bacon Corn Dip. 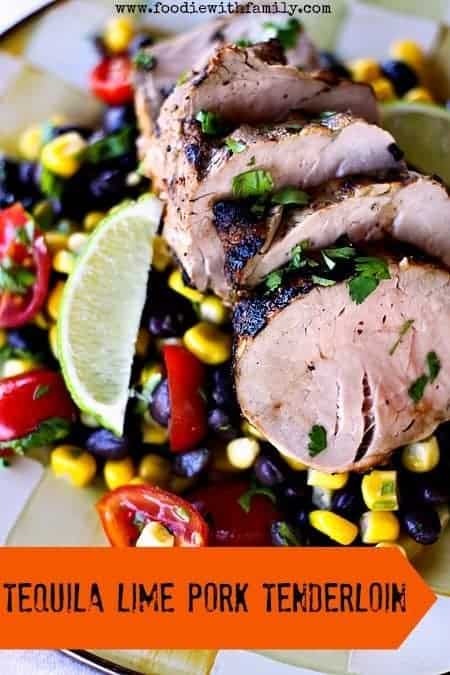 Leftovers of this pork tenderloin are marvelous on taco salad or sandwiches. Add all of the ingredients but the pork tenderloins to a resealable gallon sized bag. Seal the bag, then squish the ingredients until evenly combined. Open the bag, add the pork tenderloins, squeeze as much air from the bag as you can, and reseal it. Use your hands to squeeze and squish the contents of the bag around to evenly distribute the marinade. Refrigerate and marinate from 1 hour to overnight. Preheat your clean grill to medium heat. Use tongs to remove the tenderloins from the marinade and place them on the grill. Turn the tenderloins occasionally to cook them evenly, from 20-27 minutes, or until the internal temperature reaches 145°F. Transfer the tenderloins to a rimmed platter, lightly tent with foil, and let it rest for 3 minutes before slicing. But WAIT! There’s MORE! Ohio Pork Council is celebrating having donated 1,000,000 -yes, ONE MILLION- meals to the Ohio Association of Foodbanks. And just how are they celebrating? By offering you a chance to win $500 in groceries yourself. I’m not even joking. CLICK THIS LINK TO ENTER! Want some more fabulous pork resources? Go visit the Ohio Pork Council’s Facebook page for grilling tips, recipes, helpful information, and promotions! The names for cuts of pork have changed in recent years. Confused? Check out this chart. Tequila! Now that song will be in my head all day. Therefore it’s only natural that I make this for dinner tonight. I could eat this whole tenderloin, love it! 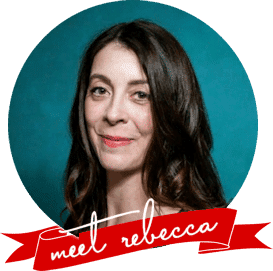 Oh, Rebecca. Be still my-ever-lovin’-pork-heart. Love all those layers of flavor you’ve got going on. And just because I don’t drink tequila, doesn’t mean I don’t cook with it. I’M IN. Tequila and pork? I’m sold! Mmmmm, #pinkpork rocks. This tenderloin looks fantastic! Commenting from phone. I did have 2 popups indicating the security certificate for tje site had expired. Typically issue with hosting company. Bursting full of flavor, I love this recipe! We just had pork last night! I’m loving it now that I don’t have to turn it into leather! Love the recipe! I know hubby would dig this! This has all m favourite things… pork, tequila, lime, cilantro… I’m making a sloppy mess of my laptop. I was looking for a pork tenderloin recipe since it is so easy to make shoe leather with them, so this will definitely be a try! Thanks! Well I am here to test again from my PC because I am curious that way but beyond that I have to comment on this dish. 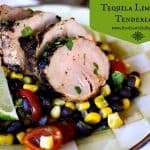 Love everything about it and thinking I would have to call this Margarita Pork…because it has the two of the components that make up my favorite cocktail! Great flavor combination, recipe and pictures! Thanks for participating! I love this! Great flavor combo! What a gorgeous cut of pork!! LOVE it all. Can this be baked maybe instead of grilled? or grilled in a pan on the stove top? I’m sure either of those would work, but I don’t have time recommendations as I didn’t test it that way! This looks ever-lovin tasty. Pork is still my achilles heel when it comes to cooking to perfection. I’ve managed just about everything else, but ugh the pork. Too bad I’m not a resident of Ohio, or I would be all over that $500 gift card. Think of all the pork tenderloin I could get with that. That’s a mighty fine looking pork tenderloin! Seriously fabulous! We’re actually having a pork week here too – tacos tonight, banh mi last night, and BBQ tomorrow. It really is versatile! Looks so good! Tequila lime is such an awesome flavor! Cinco de Mayo is just around the corner…. this would be perfect for a fiesta! Ah tequila and lime.. with pork! Nicely done! This will be a perfect recipe to try when it warms up here. I can practically smell it now…..
That is one gorgeous dish! I adore pork tenderloin and am sad to say I’ve never grilled it. Will definitely do so now! Pink pork is a fabulous thing!! And adding tequila and lime is genius!! I made this . 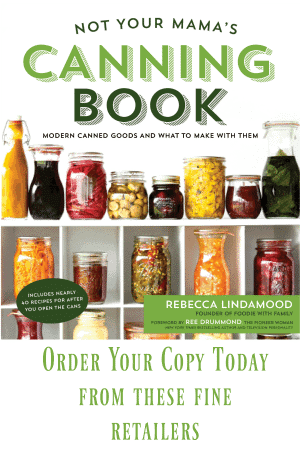 It’s easy and tastes great! Had long grain rice and a black bean corn salsa salad with it. The leftovers will be great wrapped in a tortilla for lunch tomorrow. All so easy.